Vegans may have had it right all along; while raw, organic milk offers numerous health benefits, a Harvard researcher and pediatrician argues that conventional milk and dairy products alike are a detriment to your health – thanks to added health-compromising sweeteners. The age-old saying that drinking milk is one of the keys to good health received a strong rebuttal from Harvard pediatrician David Ludwig who argues that dairy products with added sweeteners are a detriment to one’s health. Drinking reduced-fat milk inadvertently encourages the consumption of added sugars. There have been countless pieces of research concluding the ill effects of sugar-sweetened beverages and the over-consumption of sugar has been tied to obesity, diabetes, inflammatory-related pain, and much more. Ludwig’s recommendation: less is more, and some people might be better off drinking no milk at all. Humans, like cows, get all the calcium they need from a plant-based diet. If you are concerned about daily calcium intake, there are many alternatives to milk. While saturated fat was discredited for decades, full-fat dairy (raw, organic, and from grass-fed cows) has been found in research to potentially promote heart health, control diabetes, aid in vitamin absorption, lower bowel cancer risk, and even aid in weight loss. But while pure dairy could promote your health, conventional dairy may prove damaging. Before you drink your next glass of conventional milk, please educate yourself as to what you are consuming. You’d be surprised that there could be painkillers, antibiotics, and much more lurking in your milk. Three Daily Servings of Reduced-Fat Milk An Evidence-Based Recommendation? 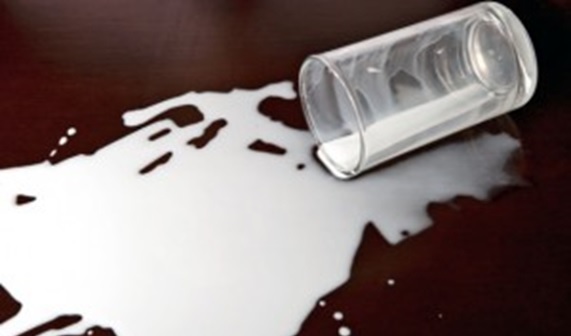 The TRUE Face Of Milk: Could Milk Be The World's Most Dangerous Beverage?